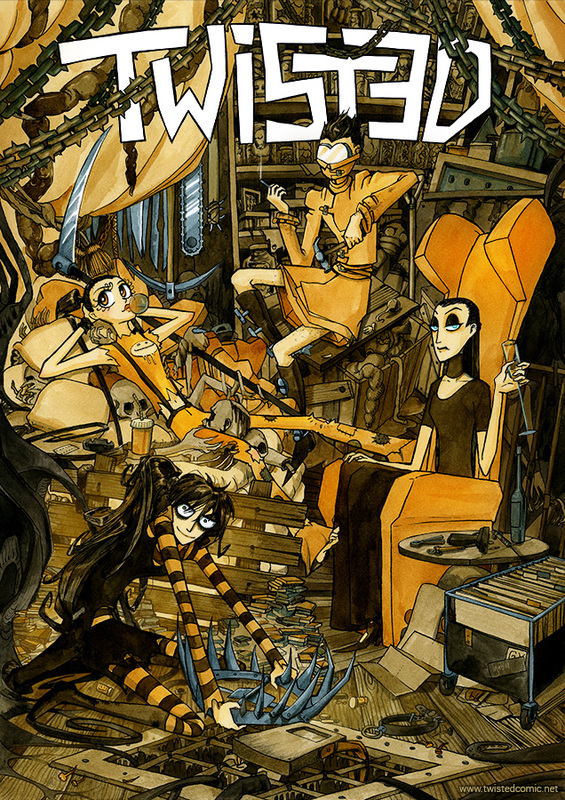 TwistED is a webcomic about four serial killers. The organized Lady, the maniac Jaune, the paranoid Gabriel and Barbera, who is just curious. The continuous comic updates at least once a week on tuesdays and is set out to have 7 major chapters. The topics are dark compulsions, control, security and chaos and of course creative murder, exploring the dark side in everyone of us.